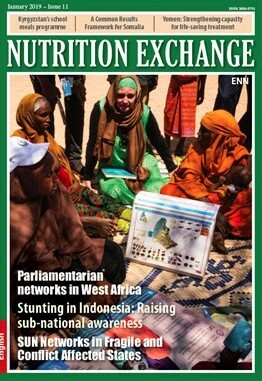 Launched in January 2019, ENN’s Nutrition Exchange Issue 11 features articles on stunting prevention in Indonesia; parliamentarian networks for nutrition in West Africa; SUN Networks in fragile and conflicte-affedted sates; interview with Mali’s SUN focal point; and the development of a common results framework for nutrition in Somalia, among other topics. 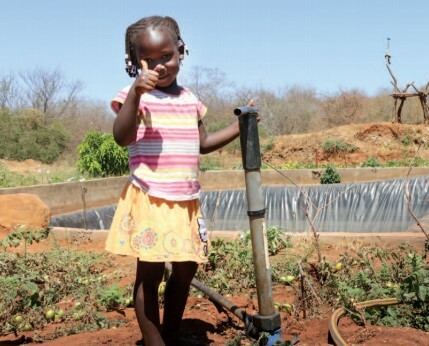 Nutrition Exchange is an ENN publication that contains short, easy-to-read articles on nutrition programme experiences and learning from countries with a high burden of malnutrition and those that are prone to crisis. Articles written by national actors are prioritised for publication. It also provides information on guidance, tools and upcoming trainings. NEX is available in English, French, Arabic, and Spanish.